Correlation between women wardrobe is open fact in front of everyone. They are always enthusiastic for shopping. Their intention is to look completely appealing whether it may be a Function or a Gathering. Latest western style tops & Indian Kurta have created an exclusive place in Females Mind. Now a day the job of shopping has become much easier for them since the introduction of E-Commerce. These days a lot of Smart women buy online designer kurti of their choice. They find a huge collection of Ethnic tops along with complete detailing. It enables to find the best choice for the convenient solution. The Kurti is most comfortable and convenient ethnic top. You can pair it with your desired or favorite bottom wear. The budget of the Pair (set ) is always lower. It suits everyone, whether you may be the working-woman, housewife or college going, girl. Today’s working-woman likes to buy and wear them at work also. Not only the working-women but also it is the best choice for each woman who likes comfortable yet stylish Tops to enhance their look. It gives Smart, impressive & attractive appearance to all without worrying about age, size, shape or complexion. This is the reason behind its popularity & increasing trend of opting it. Now a day’s latest fashion kurtis trend is booming. fashionable kurtis has taken the strike from western wear tops. It is on the hike because it is matching with our local culture and customs. We can say it a Modern look with traditional style. Indo Western Style Kurti Is A Merging Of Indian And Western Fashion. Culture And Tradition Of Both Regions have Vast Difference Like East And West. Fashion has no limit of culture and borders. All Credit For Inventing Newest Style Goes To Our Top Creators. They Have Worked Hard To Adopt and apply Western Tops Designs To Our Ethnic Top. Their Invented Tops Are Now Known As An Indo Western Kurta/Kurti/Top/Tunic. Indo Western Kurtis Designs & Patterns Are Well Accepted By Indian Females. Earlier Bollywood Celebrities Adopted It And Their Followers Inspired To Adopt This Style. It Is well Accepted Word Wide Via E-Commerce. You Can Buy Various Designs And Patterns Of Indo Western Kurtis Online. Earlier It Those Mod Females Started To Wear It, Who Doesn’t Like To Wear Bottom Beneath. Meanwhile, Teenagers Started To Wear It Over Jeans And Cotton Trousers. Indo Western Kurtas Are Perfect for Exposing Your Traditional & Fashionable Verse. Youthful Youngsters Are Crazy For These Courageous Elegances Of Kurtis. They Love To Wear On Distinctive Events. This Type Of Kurti Is To Make Your Feel Extremely Smart And Look Like One In A Million. These Type Of Tops Are Appropriate For Get-to-Gather, Excursion & Idealistic Meetings. You Can Pair These Kurtis With Skirt, Palazzo, Legging, Straight Pants, Salwar. There are several types of Latest kurtis neck Designs popular in India. It is a vast topic to discuss. You may find full detail with images in our blog. You can go for following Best Necklines kurtis online shopping India. Find it at www.designersAndyou.com and look like princes. Few other collar and necklines are there which are not so popular in Indian Tops. Now a day Pakistani kurtis with different cuts & patterns are in vogue. Indian and Pakistani famous Inventors have innovated various patterns in kurtis. Let us recollect names of those well-known shapes. 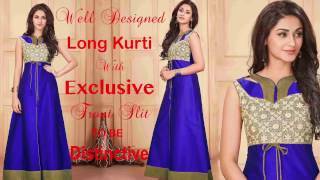 High-low, asymmetric, anarkali, dhoti, layered, A-line, overlay, kaftan & jacket are designer kurtis styles. Fish cut, tail cut, c-cut, trail cut, tulip, tiered and kite are popular cuts in designer kurtis. You can visit our blogs for more information in detail. Now a day Pakistani kurtis with different cuts & patterns are in vogue. Indian and Pakistani famous Inventors have innovated various patterns in kurtis. Let us recollect names of those well-known shapes. High-low, asymmetric, anarkali, dhoti, layered, A-line, overlay, kaftan & jacket are fashionable kurtis styles. Fish cut, tail cut, c-cut, trail cut, tulip, tiered and kite are popular cuts in designer kurtis. You may find information of few patterns here, You can visit our blogs for more information in detail. Normal Indian traditional dhoti is the inspirational factor of this dhoti pattern kurti but the only difference is that in dhoti you can tie from the waist and covers up to ankle whereas this dhoti style kurti covers up to knee length. You can attach small strip belt to get the trendy look, and theses fashionable western kurtis for girls are specially made to wear without leggings. Western style frock inspired Indian stylists designs such type of stylish top as party wears and it exactly gives you the frock get up after wearing. These top dresses inspired by western style skirts and tops, the trendy tops by famous Inventors are made in a way that they look exactly like a skirt and top because of its short length. There are two layers in such exclusive western kurtis for girls the inner layers are up to waist height and the outer layers are short from the front and long from the back, up to the ankle. That’s why the name is given as tail cut. The embellished tunic pattern is inspired from the fish tail and the main get up is because of its high and low cutting style of bottom. The high-low kurti can be seen everywhere in the fashion world. Today You May Notice That Not Only Young Girls But Mature Women Also Wear Ethnic Kurtis. Heavy Embroidery And Lace Work Patterns Are Common Features Of Theses Tops. Zipper and buttons are extra features of designing. This Kurtis Looks Fine With Jeans, Salwar, Leggings, Cigarette Pants & Cotton Trousers. College Going Girls Are Crazy To Buy Designer Long Kurtis With Palazzo Online. Young Ladies Always Like Long Kurtis of Pakistani Designers And Pair With Churidars. Every Age Grouped Females Have Learned To Buy Designer Party-Wear Kurtis Online. The Trend Of Wearing Salwar Kameez Is Shifting Towards Tunics And Tops. Branded Boutiques, Producing Designer Party-Wear Long Kurtis For Girls Are Working Over Time. They Are Unable To Fulfill Their Commitments To Existing Clients. Reputed Brands Are Switching Over Their Production Capacity To Produce Exclusive Tunics & Tops. They Are Keen To Deliver Their Existing Orders of Buyers (Retailers And Wholesalers). Indian fashion is floating on air blowing from the western end of the globe. It is changing very fast due to international fashion trend is impacting it. Use of fabric remains there with little bit changes of weaving style due to climate and weather. The Cotton Fabric is ever green fabric for the summer season to fight against heat wave. The georgette and chiffon fabrics are most suitable for winter to protect from cold wave. The process and embellishment changes but all three fabrics are always in fashion. Even today new fashion kurtis are being produced out of the same fabric with little changes. The printing process has changed from hand print (Block Printing) to digital print. Other motifs, Embroidery, thread and lace work changes by demand and availability. Color tones and combinations also change every now and then. 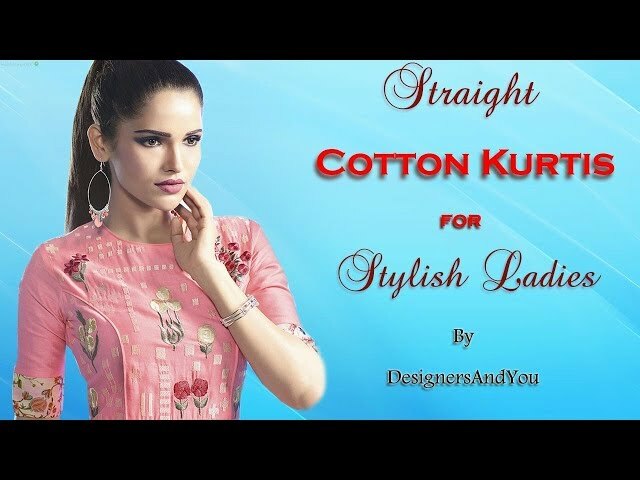 Have you noted that designer cotton printed kurtis has changed scenario of fashion? Printing color effects have gone to the most level. Unbelievable Sharpness, depth & brightness of colors have changed the test & choice of wearers. Reversible prints have also changed the direction of fashionable females choice. You must visit to see designer georgette kurtis online at designersandyou.com. We bet that you will appreciate our collection of Latest fashion designer kurtis online India for sale. It will be difficult to stop your soul stop from buying out gorgeous products. We hope you have enjoyed our Indian shopping site for women's.